The L.D.S.P. (Long Distance Service Provider™) gives precision accuracy with minimal and repeatable point of impact shift. The unique design of the L.D.S.P. 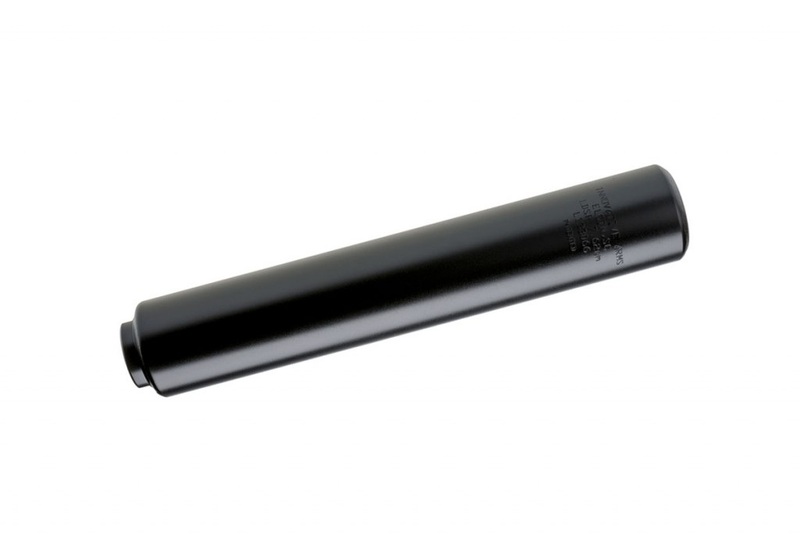 provides outstanding sound suppression and recoil reduction. The patented one piece core is machined from billet bar stock and has no internal welds, giving the L.D.S.P. extreme durability. The L.D.S.P. is direct-thread on in 5/8 x 24 and is full auto rated on barrels down to 10″ (7.5″ with .300blk). It also features wrench flats that allow easy pin and weld for shorter barrels and is available in Black. The L.D.S.P. rated for multiple calibers and almost every rifle application, including 7.62, 308, .300blk, .243, .260, 6mm, 6.5, 5.56 and .223 on down. The Exoskeleton™ Shroud is required for use with 300WM. The Exoskeleton™ Shroud gives many advantages, it also works as a heat sink and gives added grip when mounting the suppressor to the rifle. *The Exoskeleton™ Shroud is required for use with 300WM. As with all our silencers, the L.D.S.P. can be fired “wet” or “dry”. Do not use a crush washer in conjunction with any Innovative Arms silencer.